This centre is well located for access to Wokingham town centre, and has great transport links including a mainline train station which is less than a 10-minute walk away. Offering well equipped office space, there is a shared bathroom and kitchen, as well as a range of virtual services and IT options. There is the option to access the office space 24-hours a day, and office cleaning is provided, along with the ability to access other business centres. 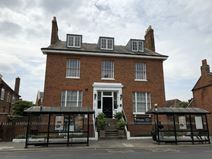 Ideal for small businesses with the option for support services as required, this office is centrally located in Wokingham and within walking distance of Wokingham railway station. 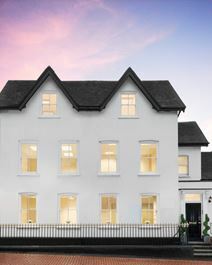 Part of a renovated period building the space retains its period charm while providing modern office facilities, all based in a business district with great access to the M4 and London. The location is also convenient for Heathrow. This centre is conveniently situated just off Molly Millars Lane, avoiding the traffic from the centre of Wokingham. This is a modern newly refurbished business centre offering a range of fully serviced offices for 2 to 20 persons. Set in manor house gardens, this 19th century period property offers functionality and professional office accommodation in an attractive setting, close to Wokingham. Benefiting from good connections to both the rail and motorway networks, via the M3, this space also offers on-site parking and 24hr access. With high quality support teams, these offices come with the full range of corporate facilities and services. The location is good for Wokingham town centre and has easy access to the rail network. The service provided for clients delivers meeting rooms, seminar rooms and administration tailored specifically to their needs. The centre also benefits from excellent parking with a secure underground facility. This building is located just moments away from Wokingham centre, within walking distance of the train station that has regular services into Reading and London Waterloo. The space is inclusive of service costs at £25 per square foot. The site has secure parking spaces and kitchen facilities available for tenants use. The offices are bright and airy with many windows letting in natural light. There are many lunch options within a short walking distance. This furnished and high-tech modern office accommodation provides an all-round business service based in the centre of Wokingham. Part of the Thames Valley technology hub, this office space is perfectly placed to benefit from links to the M3 and M4 for London and Heathrow. The centre would suit small to medium sized businesses looking for the full office package to support their development and growth. This impressive office building offers fantastic office space in a brilliant location. This property has every type of office space your business may need, from private serviced offices, to co-working spaces, both fixed and hot desks. Tenants can benefit from great amenities, this includes on-site admin support, several meeting rooms and super fast, unlimited Wi-Fi. Located within walking distance of two train stations, this work centre is very accessible.